SECOND POST – January 15, 2012 – SyrPer is proud of its association with charitable organizations and regularly permits advertising for services and benefits to the general public. Turkey has had a serious and difficult battle with epidemic cretinism, a virulent form of chronic stupidity that affects millions of Turks, especially in Anatolia. You can see the results of the condition in the way Turks deal with their neighbors; some days, Turks appear friendly and declare a policy of “good relations with all”; but the next day, as though beset by some form of amnesia, Turks start to give refuge to societal detritus bent on challenging the same friends whom the Turks cajoled before. What can be the cause of this? The Anatolian Cretinism Prevention Society (ACPS), is determined to find out (if only its members were not cretins themselves). 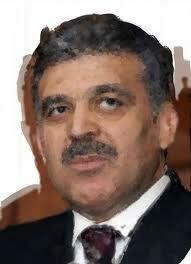 President Abdallah Gul of the Turkish Republic is the poster-child for ACPS and has been so since birth. His battle with cretinism is legendary, but sadly, without much success. President Abdallah Gul, is a strong proponent of our goals (when he is lucid) and likes to spend time listening to stories about his own childhood in Anatolia. One oft-repeated story tells of the young Abdallah riding upside down on his bicycle while descending a hill. With his head squarely placed on the bicycle seat, he espied his mother chatting with a neighbor on the veranda. He screamed out: “Look Ma, no hands”. His mother famously remarked to the neighbor: “Better he should say: Look Ma, no brains”. And so it was. Please give generously to the ACPS before we Turks do something really stupid again. You can forward your donations to ACPS, P.O. Box H-181, Edirne, Turkey. Zabadani has been cleared of traitors, terrorists and criminals. SyrPer extends its appreciation to General Jean Qahwaji, Chief of the Lebanese Army, who deployed infantry opposite the town of Zabadani forcing fleeing traitors (defectors) to return to Syrian soil where they were promptly and efficiently dispatched. As of Friday night, Syrian time, the people of Zabadani, a very pretty mountain resort popular with tourists, were cheering Syrian army regulars as they gathered around T-72 tanks and shared in the jubilation. I have caught the BBC lying quite often. But some of their lies are really blatant and ugly. For example, we at SyrPer, have extensive contact with our people in Aleppo. They are all over the place from the Sabil to Sleimaniyya to Jabriyya, and so forth. I asked Roula A., on Friday if there were any demonstrations in Aleppo that day or any day for that matter. She said “no”. Roula is very educated with a remarkable objectivity typical of young people in the sciences. Like so many Syrians, she left the conversation on a light note telling me not to believe what I hear in the Western media. I called George in Sleimaniyya, a gadabout nephew of my wife’s who knows every secret in the city of Aleppo, and asked him the same question. He said he was not aware of anything and that nothing took place at the university because his friends would have told him. Latakia is particularly calm, as is the entire Syrian littoral. Banias, which was trumpeted as a bastion of opposition to President Assad, is preparing to greet hundreds of Russian sailors. 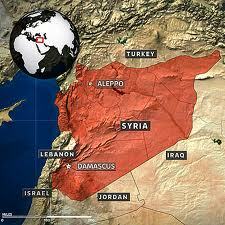 If you look carefully at the southwestern part of Turkey, you see a swath of land jutting into the Syrian land mass. That is the Province of Hatay, which is Occupied Syria. The news is pretty grim for Recep Tayyip Erdoghan, P.M. of Turkey. The people in the south of the country are out to get him. He is viewed as a mischief-making dufus who wrecked a wonderfully profitable relationship with Syria that reached 8 billion dollars per year. Erdoghan’s willingness to grant haven to former Col. Riad Al-As’ad and his gang of buttinskys and encouragement to the Syrian National Council, led by internationally renowned scuzzbag, scoundrel and derelict, Burhan Ghalioun, has made his name pure poison in the largely Syrio-centric south of Turkey. It is a fact, that Syrian Arabs living under Turkish occupation in the Province of Hatay, are actively searching out Col. Al-As’ad in order to put a lead bullet in his minimalistic brain. For that reason, Turkish security men are all over Al-As’ad and do not let him do much of anything but declare patently false contacts with “20,000” of his fighters. In truth, if he had 200, it would still be an exaggeration. We are very concerned about the deteriorating situation with Iran. SyrPer believes that the United States is entering a lethal environment that can only cause the world even greater economic distress. 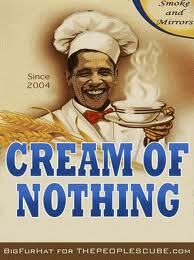 President Barack Obama is not cut out intellectually to handle this kind of challenge. He is being manipulated by zionist elements in government which are committed to the existence of the ZIONIST ABOMINATION. Because of his Cream O’ Wheat style of leadership and his rank cupidity, he is leading this country into another confrontation that will define our failure as a state for the next fifty years. seems to be someone we did not know when we elected him. He is, forsooth, the incarnation of Pistol Pete. MNS PREDICTS THE FUTURE BASED ON THE MOST RELIABLE DATA AVAILABLE TO ANALYSTS OF THE CRISIS WITH IRAN. IN THE NEXT POSTING.